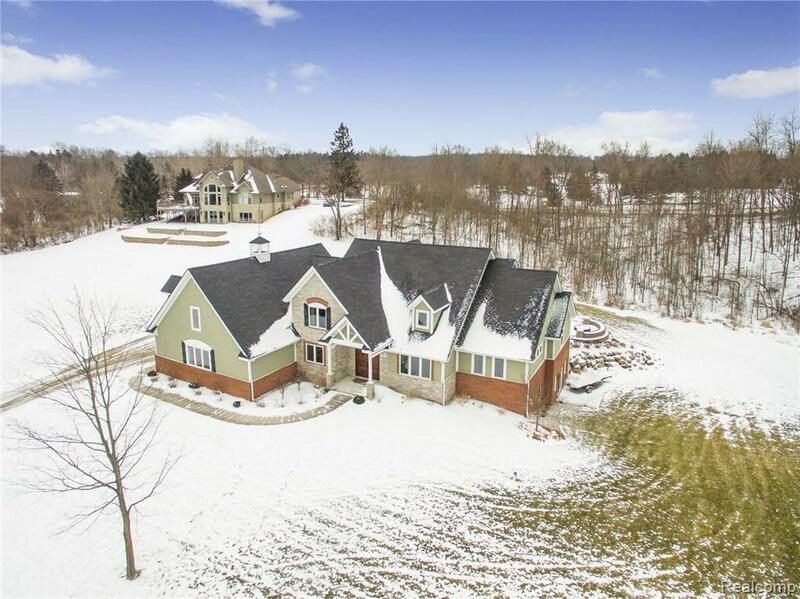 Welcome to this custom-built 1.5 story on 1.29 ac with over 5400 sq.ft. of living area with views and access to Lake Shannon . 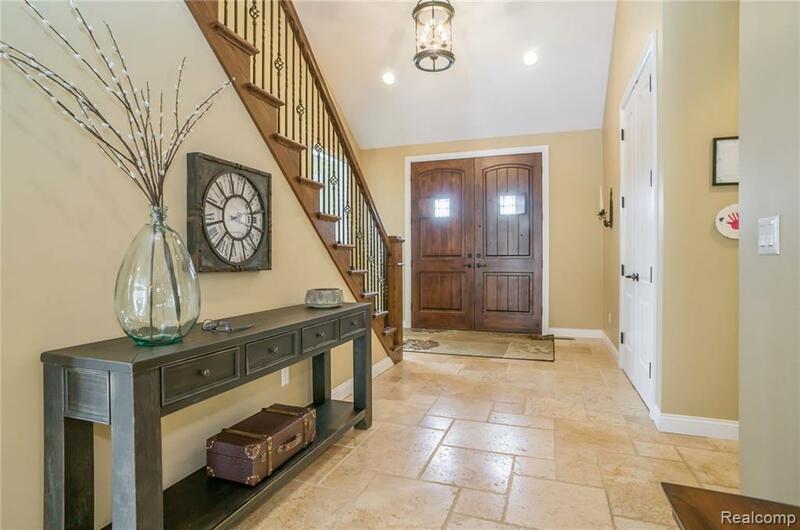 As you step through the double front door you enter the 2-story foyer with travertine floors. Great Room has floor to ceiling windows and laser cut stone double-sided gas fireplace . Private office with built-in counters. Gourmet kitchen with custom rustic alder cabinetry with SS appliances including a Smeg 48 gas stove and custom stone surround, built-in ice maker, granite counters,7 ft island and walk-in pantry. The adjoining breakfast nook leads to the covered patio w/outdoor kit and 18x36 heated salt water pool & gas firepit. 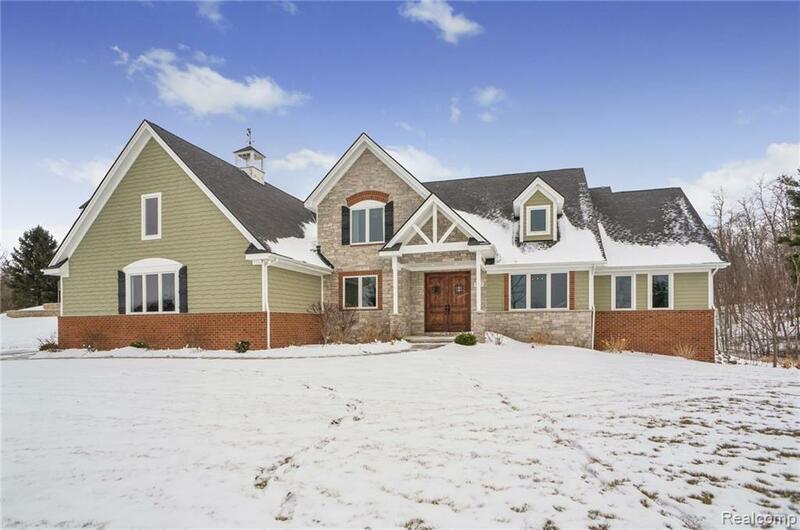 1st floor MBR w/cathedral ceiling and master bath complete 6 ft custom shower & double sinks. 2 large bedrooms each w/a bath and WIC on 2nd floor plus a media room. 1850 sq.ft is finished walkout LL has custom bar, full bath, family room w/stone FP, rec room and sauna. 3 car heated garage & whole house generator. Boat launch access.